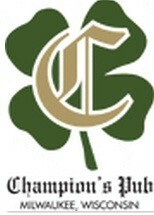 Established in 1956, Champion's Pub is tucked away a block from Oakland and North Avenues, on Bartlett Avenue. It's a great place to escape the usual bar crowds and hide out for drinks and conversation. It's modest, quiet, real, and hassle-free. It's a great place to get a start on your evening -- and not necessarily your drinking. As a neighborhood pub, there are plenty of unique and friendly folks to chat with or partner up for a game of shuffleboard, cribbage, Golden Tee Live or Silver Strike Bowling. Music runs the gamut and is at a comfortable volume, encouraging conversation rather than drowning it.